If your short-term or long-term disability claim has been denied in Los Angeles County or elsewhere in Southern California, your chance for a successful appeal or reversal improves significantly with an experienced California insurance law attorney at your side. Our founder, Robert F. Keehn, is exactly that kind of gifted lawyer who will advocate for the benefits you deserve. He is an expert in his field, knowing the insurance industry inside and out. Mr. Keehn’s extensive experience in insurance claim trials and negotiations has resulted in favorable outcomes for his clients for the past 25 years. At the Law Office of Robert F. Keehn in Los Angeles, we know the factors that cause employers and employers' insurance companies to deny disability claims, even if your ERISA coverage or private insurance plan is well established. We are personally committed to advancing your disability claim. You should not have to struggle to receive the compensation you deserve, especially given your documented contribution through the years. Insurance law is complex, and with a disability insurance denial, a client's rights can be more restricted due to federal law. Mr. Keehn will personally evaluate your claim, gather facts that are beneficial to you, and take every appropriate legal action to protect your rights. We pride ourselves on providing every client with prompt, professional representation in a responsive and personal manner. The insurance company you’re battling should know that you mean business -- that you have an experienced, client-committed insurance law attorney speaking for you. Even one mistake, while trying to represent your own interests without a lawyer, could be disastrous. Insurance companies serve their own bottom line, and you are merely in the way. Mr. Keehn will champion your cause in the face of these giants. 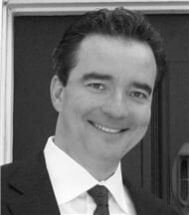 Robert F. Keehn is a skilled trial attorney, having handled numerous cases in both state and federal court. He is a member of the State Bar of California, the Ninth Circuit Court of Appeals, and the four United States District Courts in California. If your disability insurance denial has you feeling defeated and powerless, we can help. Contact the Law Office of Robert F. Keehn in Los Angeles by calling 310-551-6525, or reach us by e-mail at rkeehn@rfk-law.com. We are conveniently located in a comfortable office setting in Century City. We will always reply promptly to your messages. Mr. Keehn aggressively advocates in several other areas of insurance including: long-term care, health, life, property, casualty and auto insurance. It takes an accomplished negotiator and litigator to determine if your loss resulted from a risk for which you are insured. Sometimes insurance companies will deny claims, acting in what is legally called “bad faith.” We can determine if your insurer is treating you fairly, and strike back quickly if the company is acting in bad faith. Contact our office today so we can get started on your case right away.